Yu-Gi-Oh Duel Monsters: Drak magician girl! 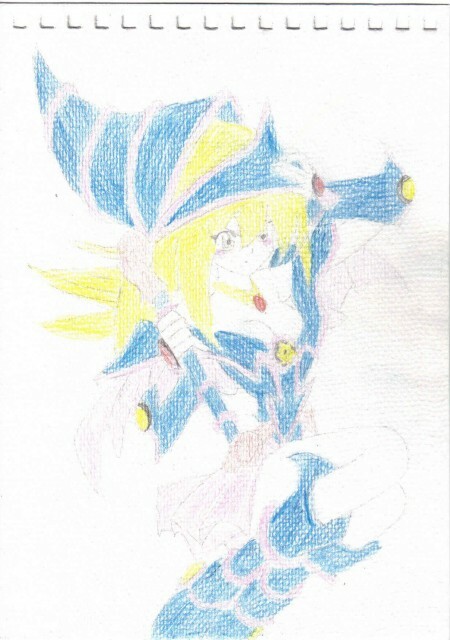 Minitokyo »	Yu-Gi-Oh Duel Monsters Indy Art » Yu-Gi-Oh Duel Monsters: Drak magician girl! If you used darker lines and colored her skin it would be amazing. It is very well done and resemble the black magician girl very well. Thankyou for sharing this piece!